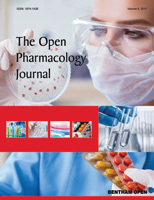 The Open Pharmacology Journal is an Open Access online journal, which publishes research, review and letter articles and guest edited single topic issues in the field of in the field of Pharmacology, aiming at providing the most complete and reliable source of information on current developments in the field. Each peer-reviewed manuscript that is published in a Bentham OPEN Journal is universally and freely accessible via the Internet in an easily readable and printable PDF format. Published/reproduced material should not be included unless you have obtained written permission from the copyright holder, which should be forwarded to the Editorial Office in case of acceptance of your manuscript for publication. Systematic Reviews include systematic updates in review protocols, methods, research and results from all relevant fields for any studies and updates on already published issues. The total number of words for a published systematic review is from 35000 to 40000 words with 100 or more references excluding figures, structures, photographs, schemes, tables etc.Systematic reviews and meta-analyses must be reported according to PRISMA guidelines; (www.prisma-statement.org). This journal publishes open access reviews on recently published books (both print and electronic) relevant to the journal. Publishers and authors of books are invited to contact our book reviews editor at topharmj@benthamopen.net with book review requests. All submitted books will be reviewed by an independent expert in the field. No page charges will be levied to authors for the publication of book reviews. The main text should begin on a separate page and should be divided into title page, abstract and the main text. The text may be subdivided further according to the areas to be discussed, which should be followed by the List of Abbreviations (if any), Consent for Publication, Conflict of Interest, Acknowledgements and Reference sections. For review, the manuscript should be divided into title page, abstract and the main text. The text may be subdivided further according to the areas to be discussed, which should be followed by the Acknowledgements and Reference sections. The Review Article should mention any previous important recent and old reviews in the field and contain a comprehensive discussion starting with the general background of the field. It should then go on to discuss the salient features of recent developments. The authors should avoid presenting material which has already been published in a previous review. The authors are advised to present and discuss their observations in brief. Published/reproduced material should not be included unless you have obtained written permission from the copyright holder, which must be forwarded to the Editorial Office in case of acceptance of your manuscript for publication. Authors of randomized controlled trials are encouraged to submit trial protocols along with their manuscripts. All clinical trials must be registered (before recruitment of the first participant) at an appropriate online public trial registry that must be independent of for-profit interest (e.g., www.clinicaltrials.gov ). If you wish the editor(s) to consider an unregistered trial, please explain briefly why the trial has not been registered. All randomized clinical trials should include a flow diagram and authors should provide a completed randomized trial checklist (see CONSORT Flow Diagram and Checklist;www.consort-statement.org) and a trial protocol. All authors must strictly follow the guidelines below for preparing illustrations for publication in The Open Pharmacology Journal. If the figures are found to be sub-standard, then the manuscripts will be rejected. It is important to mention that the text taken from different sources with an overall low similarity percentage will be considered as a plagiarized content if the majority of the manuscript is a combination of copied material.